Here we are listing all the shopping places for Indians. If you know more in your city which you would like to recommend to your fellow Indians. Please write to us and we will include the same here. If you have any review, that would also be great. You can visit online shops given below to understand the cost and availability of Grocery items in Germany. It will help you to plan your travel and what to bring from India. You can buy Rice, vegetables, biscuits, Salt, Sugar etc. from German store like Aldi, Plus. This is cheaper there instead of buying from Indian store. Italian (pizza, pasta, maconi, risotto etc)..
All Sparwelt Online Online Deal Store 24*7 very good one for deals. Most of the good deals in Germany are advertised here and also they check the genuineness of the deal and give their opinion. All Online Indian Shop Lindenstr. 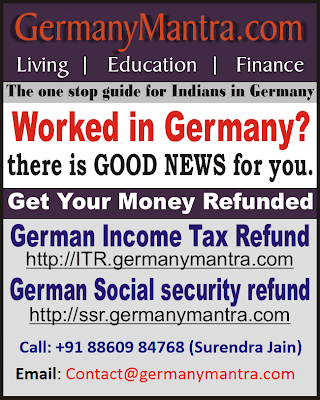 17, 10969 BERLIN, Germany , Telefon: +49-30 30 34 58 67 Fax: +49-30 30 34 58 66 Indian Grocery and Vegetables Monday to Friday : 08:00 to 20:30 Hrs Saturday : 09:00 to 21:30 Hrs Best products. Top price. Cheap delivery. Shipping allover Germany from 3.95 Euros. Also, free Home delivery inside Berlin. ALL The Grocery Shop www.thegroceryshop.eu Indian Grocery and Vegetables 24*7 Delivery across Germany, with large product list. Delivered all over Germany easy-groceries Porschestraße ,Wolfsburg Indian Grocery and Vegetables There is a standard charge of €4 (Hermes) and 4.75€ (DHL) for delivery anywhere within Germany. This is independent of the weight and value of the order. All Plus see website German Grocery Food and other consumer goods available at reasonable rates. All www.ibood.de Electronic Store offer very price worthy deals and also other home appliances/accesories. They offer only one product per day.